Hello everyone. It's me again, Cher, from Cheryl's Window and I am really excited to share my project with you today, and I'm going to share it with you with a mini blog hop. 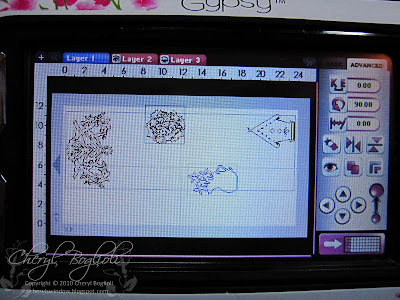 Today, I am so honored to be a guest designer at She's a Sassy Lady as well as at Tuesday Treats. My assigned dates just happened to coincide, so with the OK from both Sheila and Pam, we decided to make this a little fun and turn it into a mini hop, basically a bounce! This was an exciting project for me to create and I truly hope you find some inspiration from it. It all started because I was really drawn to some of the popular subway art out there, but I knew I wanted to do something just a little different and I wanted to add some color and pop. I was able to achieve this with my Gypsy, some vinyl, a canvas and some Glimmer Mists. So bounce around these three blogs today to see my final project come together. We will start here at Tuesday Treats with my design work. 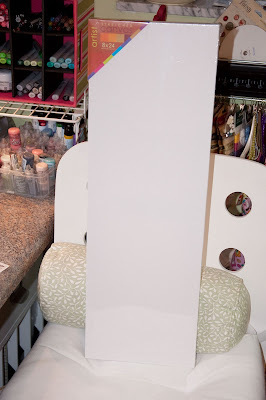 I started with an 8 x 24 canvas purchased from Joanns Fabrics. Did you know that their everyday canvas is now always 40% off? I see more canvas projects in my future. 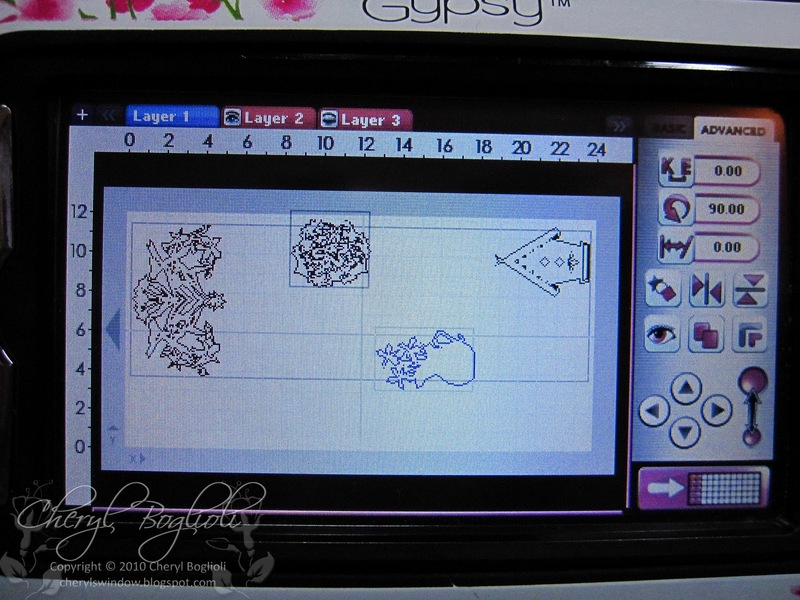 Using my Gypsy, I changed my mat size to 12X24 and then created a rectangle using REAL DIAL size and sized it to be just slightly smaller than my canvas at 23.50 x 7.75. 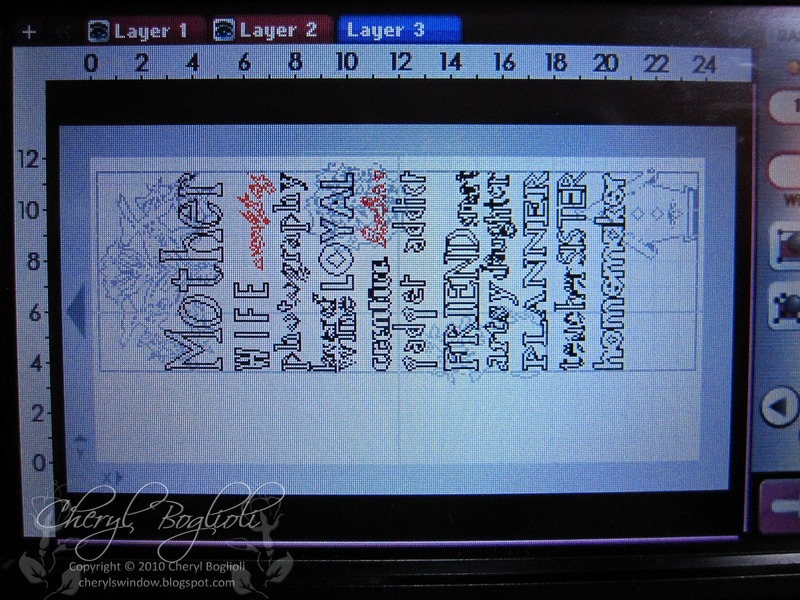 This rectangle base became its own layer for me to create the remainder of my design within. My next layer was designed to be my background. 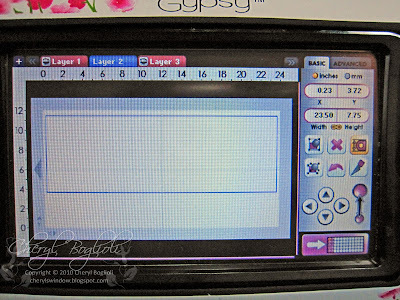 I just chose random images I had available on my Gypsy that I was drawn to. I sized them as desired and rotated them into position to fit on my 'canvas'. I chose images that I thought would work well as stencils. You'll see why soon. The next layer were the words that were all about me. I did ask for some opinions from those who know me best, and these were some of the words that we felt best related to me. I chose to use different fonts from different cartridges as well as sizing these all at different sizes. Some were more suited to welding. Some words were stretched wide or tall. They were all rotated to fit on my canvas once it was turned portrait in rotation. 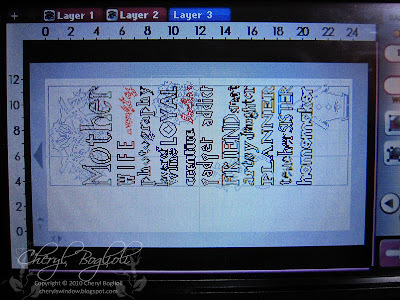 The kerning was also adjusted on many of these so that, agan, these would fit in the desired 'canvas' template. It was fun playing through all the cartridges and looking at fonts I haven't used in a long time. To speed this up just a bit, I did choose to only view LINKED CARTRIDGES while designing. I didn't use any fancy Gypsy techniques here at all and since this would really be a personal project, yours would have different images and different words, I haven't even linked my Gypsy file. I hope you are inspired to use the ideas behind it though and create your own. So, the design work is done. Now, it's time to start cutting some things out and putting my project together. So, follow me over to She's a Sassy Lady to see what comes next. Wow, this is beautiful! Looks like a lot of work. I would've cheated and welded all the letters together. lol! Thanks for sharing! Great job, Cheryl! Beautiful canvas! I ABSOLUTELY LOVE this. I can see some "lifting" in my future. Hi...thank you for visiting with me and your kind words. Your card is beautiful. I love the colors, thanks for sharing how you created it. Have a great day!